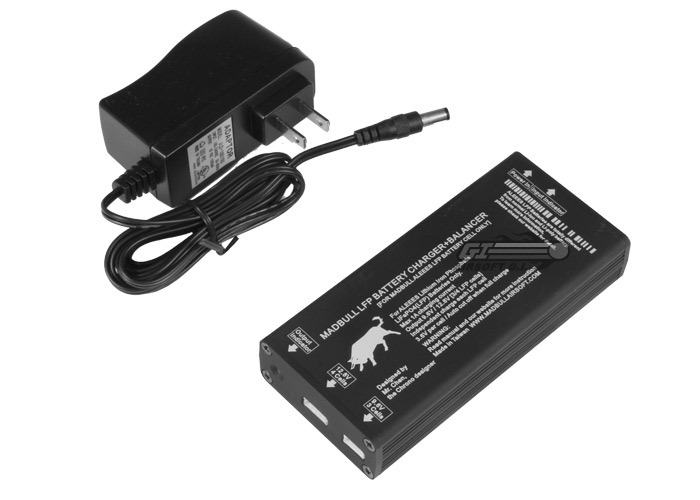 The Madbull LFP (LiFePO4) Battery Charger is easy to use and highly durable, and is designed specifically to work with the new Lithium Iron Phosphate (LiFePO4) batteries from Madbull Airsoft. It features a 9.6V output as well as a 12.8v output for both sizes of LFP batteries as well as an auto cut-off when the battery is fully charged. This charger will not work with normal LiPo batteries. This charger will not work with normal LiPo chargers. Will this battery, http://www.gitactical.com/product_info.php?cPath=27_122_236&products_id=14732 , work with this charger? if not what charger do you recommend?